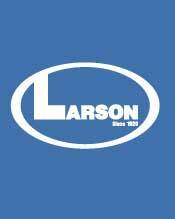 In Larson Tools customer survey feedback section, one of the respondents commented, "If all vendors gave us the same quality, customer service as Larson, my job would be easier." John Cryan, Sales Manager at Larson Tool said, "We take great pride in acting as a true partner, rather than just a metal stamping supplier to our customers. We survey our customers every year as part of our ongoing commitment to understand the changing needs of OEMs and fine-tune our services to reflect their needs and expectations."